A cold email is an e-mail that is sent to someone you don’t know without it being requested. It is often used as the starting point to develop new sales leads. A cold email is much less likely to be considered as spam if you ensure that your message is relevant to your audience. When you take the time to research your prospect and personalize a cold email, your chances of getting a response improve greatly. In this article, I share cold email examples and a guideline that will help improve your response rates. Before you start writing, consider using Grammarly, a free spelling and grammar checker that automatically identifies any errors, and offers suggestions along the way. Click here to get started for free. 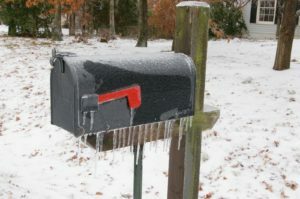 What Makes a Successful Cold Email? Cold emails can follow a standardized script, or be customized for each recipient, or a little of both. However, I strongly recommend that you invest the time to highly personalize the content of your cold emails. As the rule goes: the more personalized the email, the more likely you will receive a positive response. Writing a personalized email takes longer, but it’s justified by the vastly improved success rate. In my own experience, I’ve found that sending 1,000 completely scripted cold emails yield about 1 or 2 meaningful responses. However, if I send out 5 highly personalized emails, my success rate is 1 in 5, provided they are properly researched and well targeted. This is a success rate of 5:1 vs 500:1, and it only takes around 30 minutes per email. So if like myself, you cannot afford to burn cold contacts, it’s better to invest the time to know your audience before writing a more personal cold email. Let’s look at this approach in action: I receive cold emails every day asking for 10 minutes of my time to review this or that product or service. To be honest, I’m busy so I rarely respond. So what is it that makes me feel compelled to respond on some rare occasions? [This connected with me as I had written about storytelling three days previously. Make sure to find a way to connect meaningfully with your audience via the subject or your email will hit the bin before it’s been opened]. After seeing you present on the importance of storytelling, I went to find your platform online and I’m scheduled to receive a demo from your sales team next week. [This person is invested in me; I can at least take the time to hear what they have to say]. I’m not sure we can afford your subscription fees, but I was going to use my status as a customer of yours to get our business on your radar. [If this person is prepared to consider going to that much effort and expense, I’m keen to understand what they have to offer]. 1. I’m the CEO of 123images, which I started it when I was 19. Now I have 25 employees in New York and Indonesia. I love my business, it’s profitable and I want to take it to the next level. 2. I went to London Business School. Ok it was 15 years after you, but we’re connected! 3. You can integrate my image bank into your storytelling platform and create a new revenue stream. Next week I’m in New York and we could meet at 4pm for 30 minutes on Mon, Tue or Wed, just name the day and I’ll come to you. Feel free to ask anyone else from your team to sit in. Thank you for making the time! It’s based on 5 principles, which when applied well, hugely improves your chances of getting the response that you are hoping for. There are no shortcuts here; you need to do your research. Anyone with half a brain can tell when you’re cutting corners, and attempting to make it sound personal when it isn’t. You need to drop in specific conversation points that will stand out as personal. In the example above, I did actually write an article on storytelling recently so this grabbed my attention and got me to open the email. I did go to London Business School, which was easy to find out from my LinkedIn profile, but I was flattered that the person writing to me had done their research and was making a personal approach. Whenever I meet a stranger for the first time, I want to know a little bit about that person and why they should be of interest to me. This is not something that you can fake or you will come unstuck at the next stage when you speak to them. You need to show your audience that you’re credible and that they can trust you. Knowing someone in common is good social proof, or maybe you working in the same company or city or attended the same school. This kind of connection helps to make you more credible. If you have no real status or connection, that’s not a problem. Just find something that they have tweeted or blogged that you agree with and communicate that you share views about something important. Don’t overcook it, one or two sentences will do. The objective here is to be considered more than a stranger and that’s it. If you have done your research well, you may have found a major problem that your audience is trying to solve. Or, it may seem like they will be interested in an opportunity that you can bring to them. In other words, what’s in it for them? If you can solve a real problem, this is usually the most powerful hook. In my email example, I was looking for ways to enhance the user experience in my platform. I was also looking for ways to generate extra revenue other than via subscriptions. If you can’t solve a problem, consider other things that they might value. 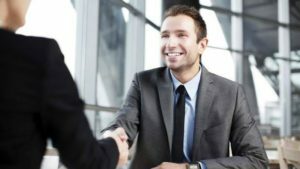 For instance, introducing them to someone they would like to meet, inviting them to join you at an exclusive event, or (as a friend of mine used to do very successfully) offer to drive them into work so that you can get the opportunity to talk. The reason that only 1 in 5 respond is because some will not open your email, no matter how well your headline is crafted. The other reason is because the problem you are offering to solve is not a priority or sufficiently appealing. So it’s worth testing different email subjects and approaches to headlining the problem you can solve. Remember, all you are doing here is headlining not selling. There’s nothing worse than receiving a cold email from someone who launches into a sales pitch before they’ve established trust and the basis of some kind of relationship first! There’s is nothing worse that receiving an email from a complete stranger who then writes 500 words assuming you’ll be interested in whatever they feel the need to contact you about. It’s amazing to me how many people do this who should know better. My bank, local sports clubs and leading charities all send me long, meaningless introductory letters and emails all the time. I’ve never read one of them. It’s really important to keep your email brief and to the point. I know this sounds obvious but how many of us start out trying to draft a short email and end up with a long one? It may be well conceived but at this stage you just want to get the conversation started. I recommend reading your email out loud with a timer. If it’s a longer than a minute, cut it down. One of the best ways to keep things short and direct is to write the way you talk. The editor at FSB is big on this. He recommends reading copy content out loud before you complete it. If it sounds natural, then it will probably read well. For a cold email, this means making yourself sound interesting, introducing yourself properly, connecting over a shared friend or interest and then making an offer that is likely to be of interest. Finally, don’t forget to make your suggested action easy and painless to complete. If you’re emailing important people, this becomes even more important because they are usually pushed for time. For instance, if you want to meet with someone, don’t force them to think of when. Just give them a couple of options that are likely to work and ask them to pick one. Lots of people confuse kindness and humility with weakness. If you try to present yourself as perfect and flawless, this will come across as a bit unbelievable, a bit salesy, less human and less easy to like. Showing some humility tends to get a good response from the right people, the people you would want as your customers. So don’t be scared to show that you are human, to ask for help if that is what you need, but be sure to offer something meaningful in return. By expressing some humility, you flatter the person you are approaching and you give them to opportunity to do something good (i.e. help you) which most people like to do at least once or twice a day! Part of doing this well is to totally take the pressure off of them. For instance, the “PS” in the example cold email above not only shows humility but also takes the pressure off in the same breath. Try Googling cold email template and you’ll find loads. The one thing they all have in common is that will not work as well as a customized email, since recipients recognize when they’re being spammed. That said, a dynamic template that allows for personalization can do the job, provided you’ve done your research. You can check out our list of customizable sales emails, or create these directly in your CRM system. 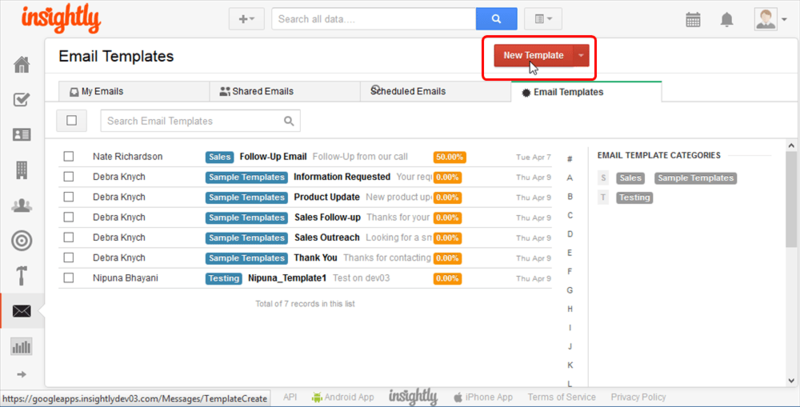 For example, Insightly CRM will allow allow you to save flexible templates that can be edited for each prospect. Let’s explore this option next. The only way to speed things up that is not counter-productive is to consider using a CRM and email system like Insightly. This will allow you to highly personalize a basic email framework based around the information that you have built-up within your customer relationship database. For instance, when you click to email a new prospect, you can select from a list of pre-saved templates. You might have a specific template saved depending on how you met the prospect, or their line of work. Once a template is selected, you can customize it as much as you like. Since a good cold calling template is kept vague, you can use this time to fill in all the details, like a personalized intro and body. After you’ve sent a few emails, you’ll be able to track the effectiveness of your template. The template page will show your open rate, and click-through rate. This means you can test out different formats or sales pitches, and find out what is most effective over time. When Does a Cold Email Become SPAM? There’s a big difference between bulk bank promotional emails and one-to-one personal emails to well targeted business prospects and partners. If you stick to these simple principles and apply common sense, you’ll be on the right side of the law. You’ll also avoid getting a “high pressure sales” reputation. Learning how to write highly personalized cold emails to your potential customers and partners is one of the most important skills to develop. In my experience, this can make all the difference in helping a startup get off the ground. I strongly recommend developing an email-writing method that does not involve a standard template. The reality is that standard templates do not work and, over time, can burn up your finite universe of potential customers and partners. If you want to explore an approach that has a standard email framework that can then be personalized for each contact, I recommend exploring Insightly as a solution. Research is a KEY and a foundation to the other methods. Our Marketing section here at Fit Small Business is full of practical guides, for beginners and pros alike. To get started, you might want to check out our broad list of 25 small business marketing ideas.